Oozing glitz and glamour, this Modena gift set includes two elegantly proportioned wine glasses with a delicate spiral cut pattern around the goblet, dusted with 3 sparkling Swarovski Diamante crystals embedded in the design. 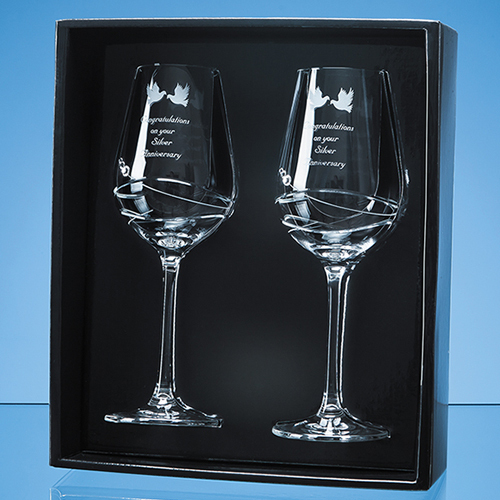 With space to engrave an inscription, logo or message they are the perfect memento of a special occasion such as a work farewell, engagement, birthday or anniversary. To make it even more special. Plus it is packaged in a beautiful presentation box.